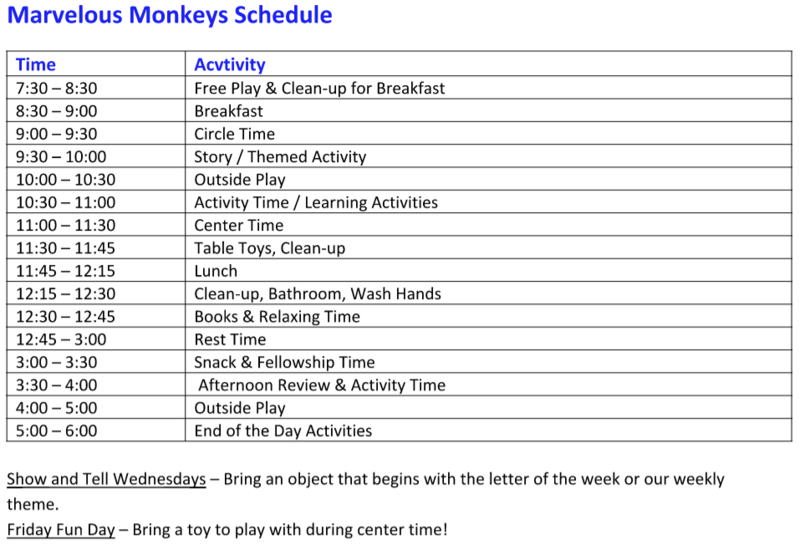 The Monkeys Classroom Welcomes Preschoolers – Ages 3 to 4 years! Our experienced teachers provide a fun and educational experience within our home-like classroom, where your child will discover how they learn best. 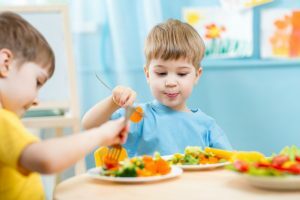 Preschool education is an essential step on the path to kindergarten and your preschooler will learn through creative play, constructive centers, daily circle time, hands-on activities and planned cognitive learning experiences. We offer a balance of freedom and instruction! Our daily circle time is based around our weekly theme where we introduce and review the letter and number of the week, as well as continuing color, shape, and name recognition. We continue cognitive development in group and individual exercises and will teach your child to recognize and write upper case letters and numbers 1 through 15. We practice the development of fine motor skills through writing with a pencil, safe scissor cutting, and drawing and painting independently. One of the key goals in our preschool program is to enhance social and emotional development. We strive to teach your child a combination of intellectual skills, motivational qualities, and socioemotional skills, and how to properly use them to succeed in school. 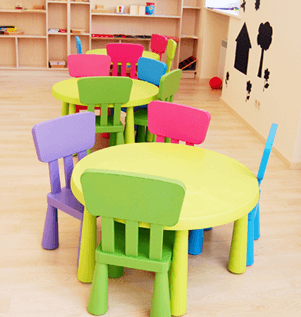 In this classroom, children are given an increasing sense of independence, while also learning how to relate to others through large-group activities which are an essential part of the day. During our creative play time we use our imagination with action toys, dress-up clothes and food center play. We practice sharing, patience, communicating with peers through language and much more! We make sure there are plenty of opportunities for discovery, both in and out of the classroom, as well as, a safe, secure, loving environment for your child to grow and learn. Our children are our future, and we want to prepare them for their future with a lifelong love of learning, curiosity, and exploration.